Back in November 2014 I was up in the Abilene area for work. 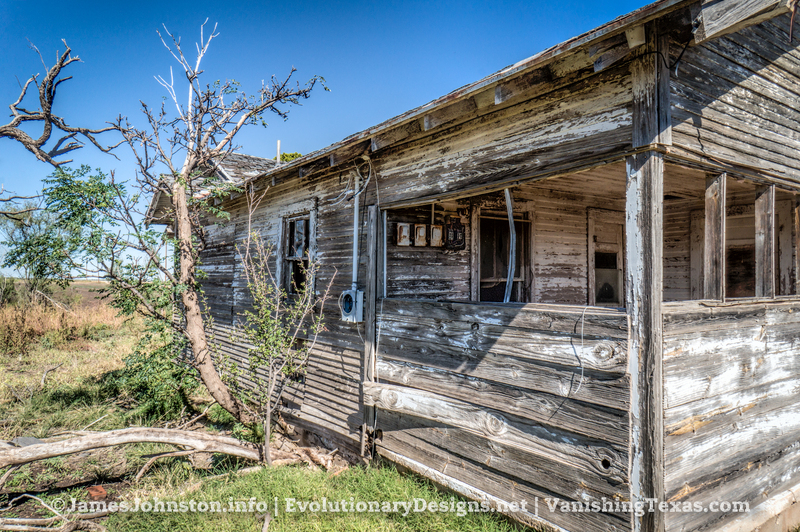 During that time, I was able to get some exploring done up near Anson, Texas. 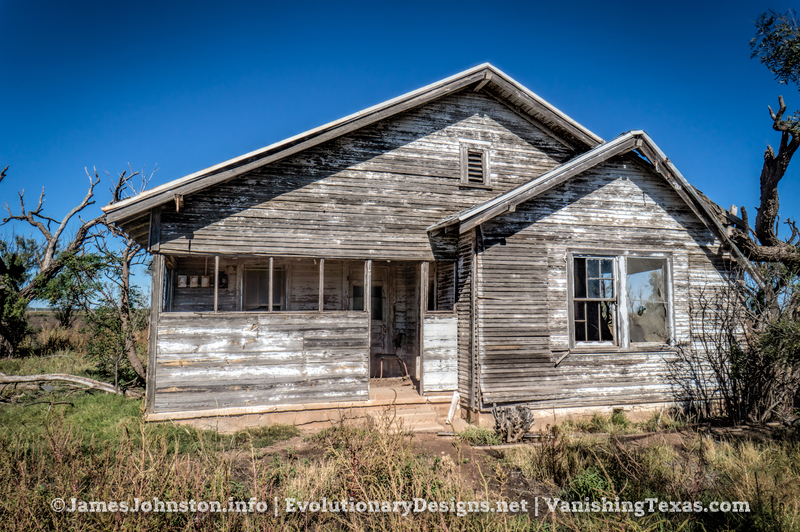 One of my trips was to Hamlin, Texas a small town near Anson and surrounding areas to run down a few leads. 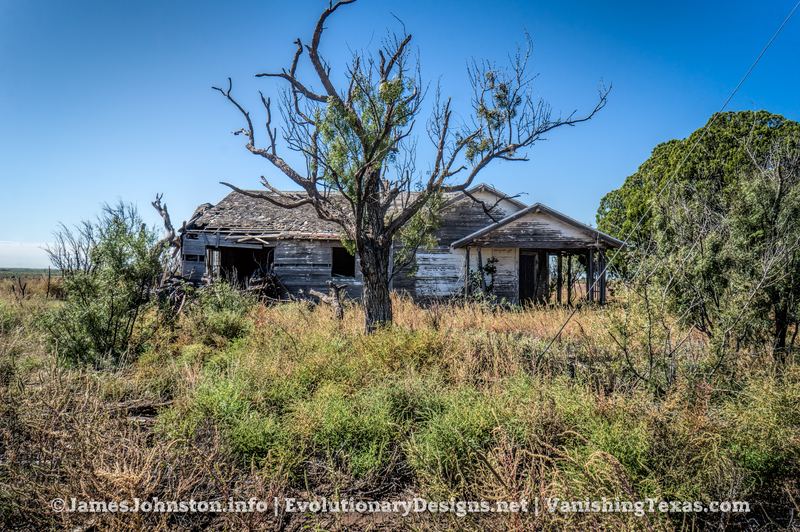 During that time, I came across this old abandoned farm house near Hamlin,Texas. 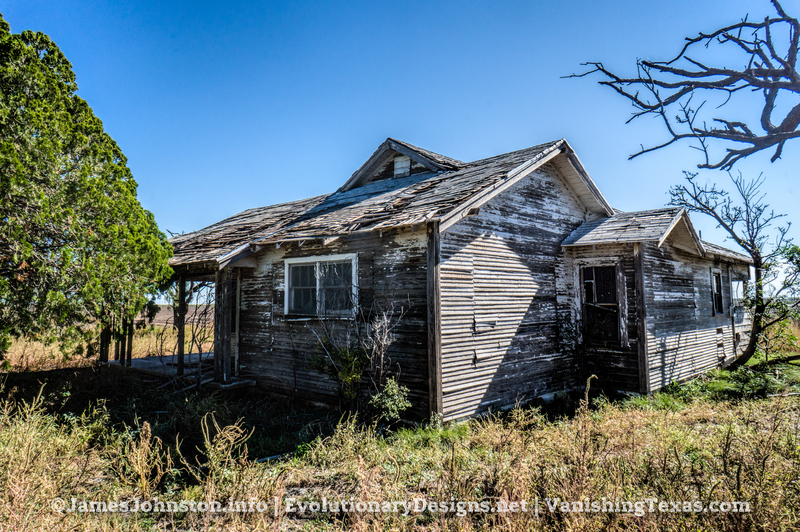 As I was heading towards Tuxedo, Texas, I came across this old abandoned farm house near Hamlin, Texas. The old farm house has been there for a long time. Its design looks like it could have been built sometime around the 1900s through maybe the 1930s. It was probably abandoned sometime in the last 30 years, if not longer. Much of the roof is rotten and sections of the outer walls are rotten and moldy. If the house isn’t bulldozed in the next few years, it won’t be long before Mother Nature puts her out of her misery. If you know anything about this old house or you might know who I would be able to contact, please contact us via the contact page, Facebook page, or commenting below. I would like to add the house’s history and any historical images of the old house and farm to the article. Please Note: February 10th, 2015 on my personal blog and the house was shot in November 2014. That article will no longer be updated and all new information will be added to this article. . This article has been modified and will continue to be updated as more images are found and information about this old farm house is found. It was then posted to VanishingTexas.com onFebruary 18th, 2016. That site is no longer affiliated with us. All content from that site is slowly being migrated and updated to this site. This article will continue to be updated as new information is added.